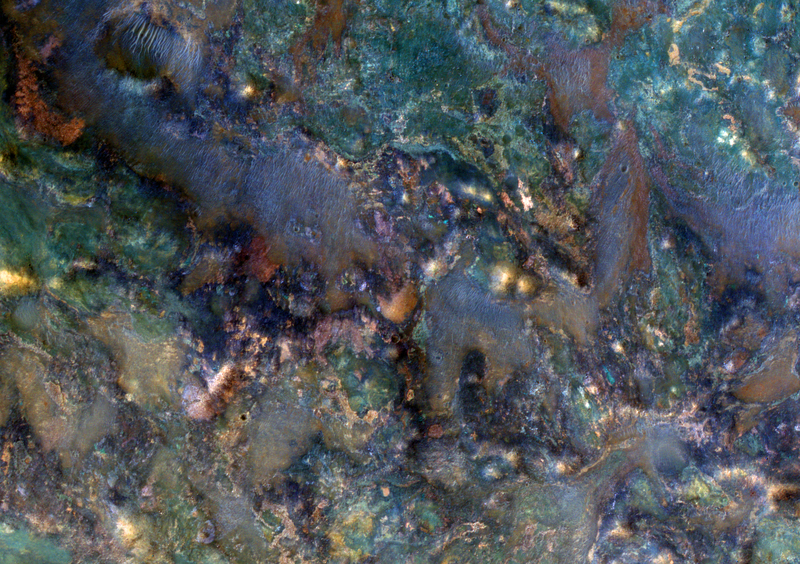 Today's Image of Mars shows some amazingly colorful minerals and rocks found in Nili Fossae by HiRISE. The stunning array of colored rocks are the ejecta from an impact that broke up and expelled already diverse types of rock, mixing them up even more. Each different color seen below is representative of a different mineral.